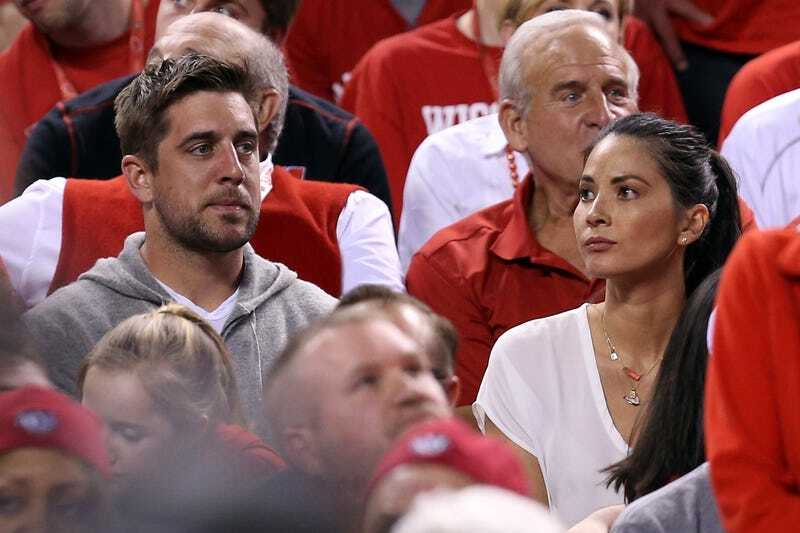 Olivia Munn Doesn't Appreciate Being Mentioned As A Possible "Off-Field Issue"
ESPN’s Rob Demovsky wrote an article titled “Five reasons why quarterback Aaron Rodgers is struggling,” in which he tries to figure out why the Packers’ star quarterback hasn’t been his impeccable self in the last few games. The reasons Demovsky gives range from perfectly reasonable—Jordy Nelson is hurt—to the oddly speculative. Demovsky should have probably just ended his list after the fourth reason.